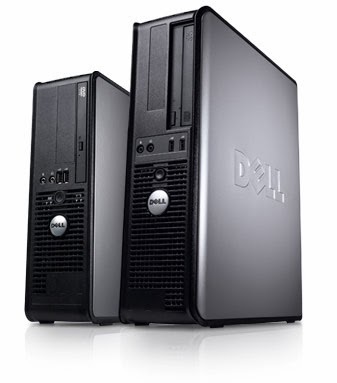 Download Dell OptiPlex 380 desktop drivers for Windows 7 32bit operation system .Learn how to update Dell OptiPlex 380 desktop Windows7 32bit drivers.Install Dell OptiPlex 380 desktop drivers in your Windows 7 32 bit now free. Here is the original drivers download links of Dell OptiPlex 380 desktop Windows7 32bit drivers from the official website of Dell , just one click and download your desired driver .We want to make it easy and fast to update your Dell laptop drivers . Realtek ALC269 High Definition Audio Driver support Dell OptiPlex (380/980) running the following Windows Operating system: Windows7 32bit .The latest Audio driver version of Realtek ALC269 High Definition Audio Driver is Version 5876 . Intel Chipset Driver package support Latitude 2120/E6510, Precision T5500/T3500/T1600/T7500 and OptiPlex XE/960 for Windows 7 32bit operating System .The latest version of Intel Chipset Driver is Version 9.1.1.1025 . AMD Radeon HD3450 256M Graphics Driver Package support dell OptiPlex 580 for Windows 7 32bit .The latest version of AMD Radeon HD3450 256M Graphics Driver is Version 8.680.0. Intel GMA 4500HD/4500MHD Driver Package support dell OptiPlex and Latitude models for Windows7 32bit .The latest version of Intel GMA 4500HD/4500MHD Driver is Version 8.15.10.2869. Intel G41/Q43/Q45/G43/G45 Graphics Controller Driver Package support Dell Optiplex 380/760/780/960/XE for Windows7 32bit .The latest version of Intel G41/Q43/Q45/G43/G45 Graphics Controller Driver is Version 8.15.10.2281. NVIDIA GeForce 9300GE Graphics Driver Package support Dell OptiPlex models for Windows 7 32bit .The latest version of NVIDIA GeForce 9300GE Graphics Driver is Version 8.16.11.9141. Dell Backup and Recovery Manager Application support Alienware Desktop, Latitude, OptiPlex, Precision and Vostro Notebook models using Windows 7 32bit .The latest version of Dell Backup and Recovery Manager Applicatio Driver is Version A02 . Conexant D850 Modem Digital Line Detect Application support Precision T3500/T5500/390 and Inspiron Desktop 570 using Windows 7 32 bit .The latest version of Conexant D850 Modem Digital Line Detect Application is DLD.1.21 . Dell Wireless 1505 Draft 802.11n WLAN Mini-Card Desktops Driver support OptiPlex 360, 380, 760, and 780 that using Windows7 32bit .The latest version of Dell Wireless 1505 Draft 802.11n WLAN Mini-Card Desktops Driver is A32 . Dell Wireless 1505/1520 Draft 802.11n WLAN Mini Card Driver package support Vostro Desktop, OptiPlex and Precision models running on Windows7 32bit.The latest Version of Dell Wireless 1505/1520 Draft 802.11n WLAN Mini Card Driver is 5.60.18.8-34 . Broadcom 57XX Gigabit Controller Driver Support Dell OptiPlex, Precision and Latitude using Windows7 32bit .The latest version of Broadcom 57XX Gigabit Controller Driver is 16.4.0. Dell Optiplex380 System BIOS update support Dell optiplex 380 running Window7 32bit and Dos .Dell optiplex 380 System BIOS update latest version is A07 . This is the Basic drivers for Dell optiplex380 desktop drivers for windows7 32bit operating system .For more drivers please visit the official website of dell support from here " Dell Optiplex380 desktop drivers " .